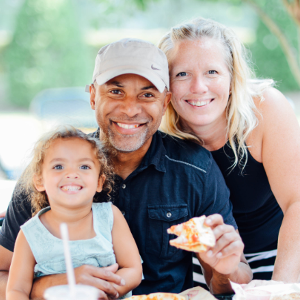 Conveniently located near Caulder Office Park and Starbucks, MOD North Charleston is the perfect place for a bite that’s quick, affordable and satisfying. We’ve got thin-crust pizzas and salads in individual and mini sizes – you pick all the toppings (choose from over 30). Perfect if you’re with the kids because everyone can get what they want. Come visit MOD Pizza today and see what our MOD Squad can make for you! We support local schools and nonprofits through fundraisers and donations all year, along with our annual Spreading MODness campaign in November. For Spreading MODness, MOD North Charleston is working with Children’s Chance. Children’s Chance is a statewide organization with a mission to improve the quality of life for children and families dealing with trauma of pediatric cancer. Find out how MOD can support your organization or charity here.